Think of Never Evers as Lobsters younger sibling aimed at a slightly younger audience with characters aged 14 rather than the older teens featured in Lobsters. 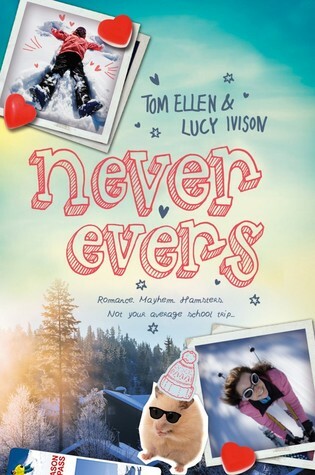 The narrative splits between Jack and Mouse and follows them as they attend a school trip skiing in France. The story line is really funny and I loved seeing how things played out. What I thoughts was particularly clever is the misunderstandings between the girls and the boys which you can see as a reader seeing both but each side sees differently because they don't know the whole story. Lots of funny. Lots of teen awkwardness. I loved it.